This is so informative! My human is going off to smell Binga and Boodie's breath now! We've never had a kitty wif diabetes, but Crockett's daddy wuz diagnosed wif it this year, so we are learning a LOT about it. Lotsa da symptoms for kitties sound similar to human ones. 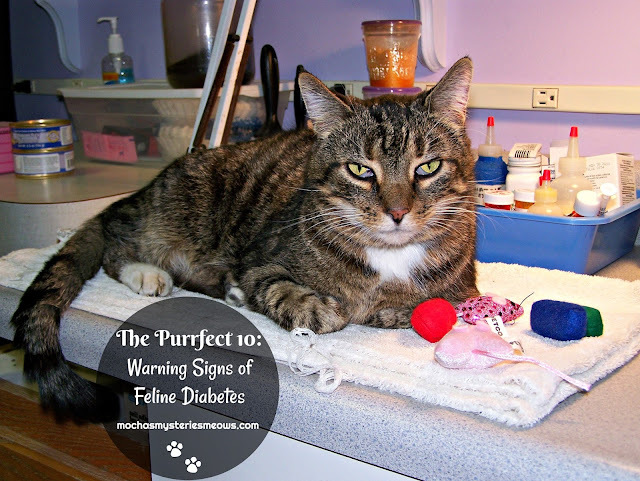 Mum has dealt with diabetic cats before. She noticed the excessive drinking and peeing and had the testing done. 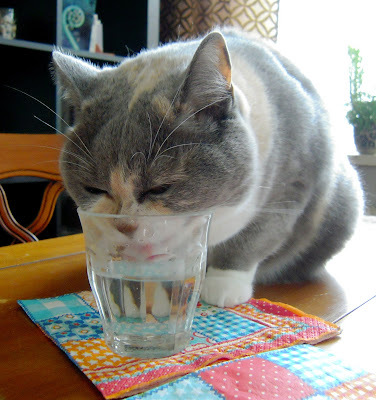 Giving insulin is easy, so should not be a deterrent to having a diabetic cat. Thanks for the post. I have had 2 diabetic cats. I fist noticed the extra peeing and thirst and weight loss. This is such a significant post about diabetes and knowing the symptoms. 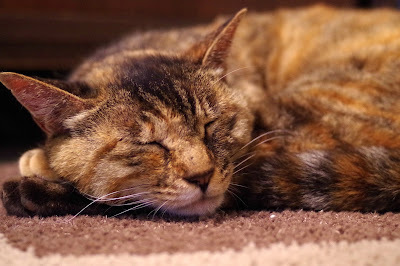 When I used to work at a cat clinic, I always found it interesting how different cats could manifest their diabetes with such differing symptoms. We definitely had a lot of kitties displaying increased thirst and increased urination, but we also had one cat who came in looking incredibly healthy, though he had suddenly seemingly gone paralyzed in his hind limbs. Despite the fact that he looked fantastic and the owner had noticed no other abnormalities, his blood glucose was through the roof. He began to walk normally again after starting on insulin. Thank you for sharing this incredibly important information, Mudpie and Melissa! We learned early on, that watching litter box habits can determine if a kitty is sick. The Hubby thinks I'm amusing that I scoop at the same time every day, but it's my way of monitoring. I would notice extra peeing, or other symptoms! Thanks for the post. Very well written information. A lot of it applies to human with diabetes,too. Great information, and important for people to know. When my mom's cat, Tyler, was first diagnosed with diabetes, we had noticed the weight loss and unkempt appearance. He started getting insulin twice a day and did great. He lived another 4 or 5 years and was happy & healthy. TBT says we are all going to get some tests to identify potential problems. Iza needs them first; she has early signs of diabetes. But we all will get tested for whatever the vet suggests after routine exams.